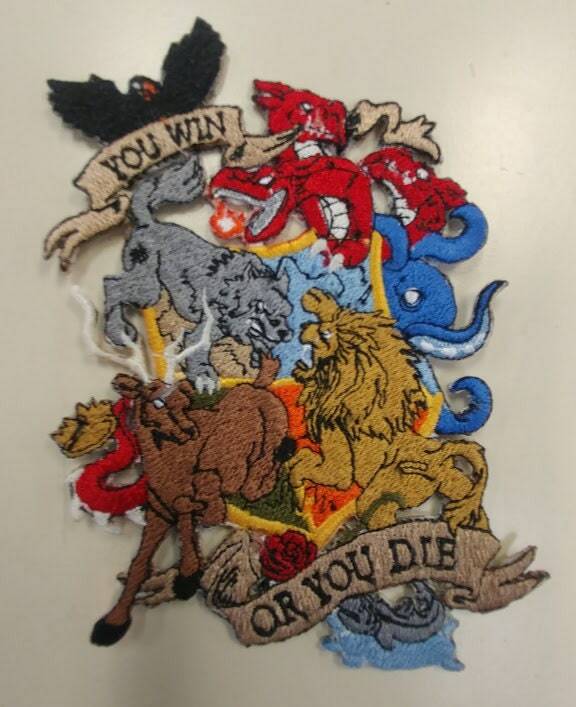 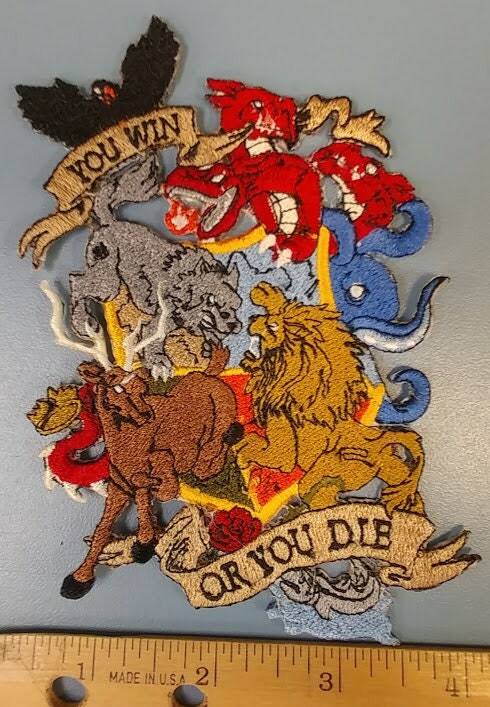 This nice looking patch represents Kingdom houses inspired by the Game of Thrones series. 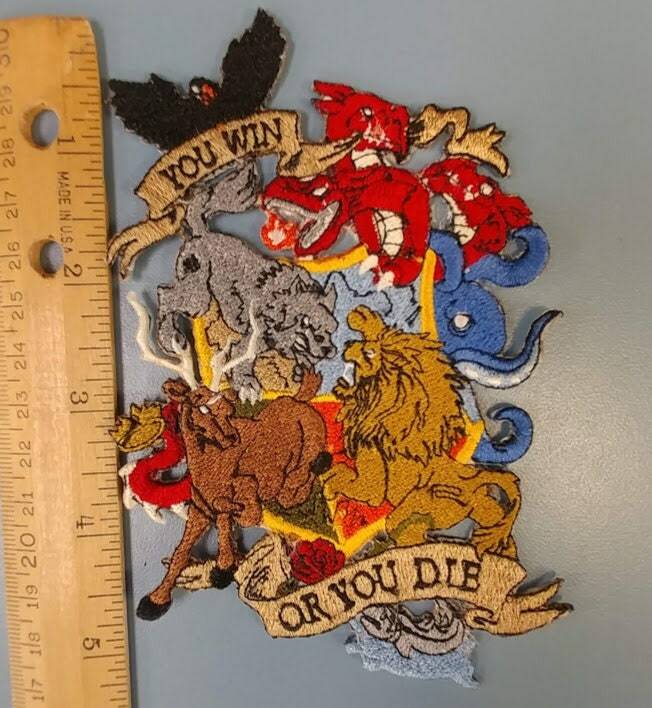 It measures approximately 4"W X 5"H and is sewn with various tones of golds, blues, greens, reds, grey, and tans. 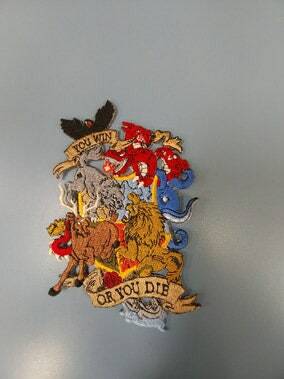 It comes with an iron on adhesive to assist with application.